I design and create beautiful handmade, hand glazed ceramic tile for installation in kitchens, baths, fireplace surrounds, hot tub surrounds, stair risers, and table tops. 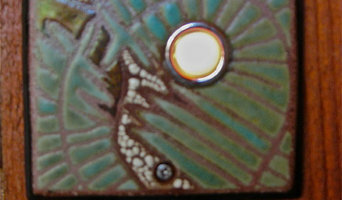 Using an ancient glazing technique that mimics the look of mosaics, called cuerda seca. With many colors to choose from, the finished piece has depth and longevity. The tiles can be used indoors and out. Matt Mahler, North Carolina mural artist, specializes in faux finishes, murals, venetian plaster, metallics & custom fine art paintings. Matt's clients have included Duke Children’s Hospital, Bailey’s Fine Jewelry, the Triangle Chapter of the American Red Cross, The Big Easy restaurant, and numerous other clients. S A Johnson Decorative art and Interiors provides custom-finish solutions for homes and businesses including many types of decorative finishes, faux finishes, stains, plasters, gold-leafing, etc. Sewing and machine embroidery patterns, tips, tutorials and reviews for budding creatives! Michelle and Davide Aguiar of CAN Decorative Painting have been professionals in the architectural surfaces and decorative painting business for more than 15 years. They have extensive product knowledge giving them an advantage in this industry. I have been a cabinetmaker for 38 years. I presently specialize in smaller artistic projects. Discover unique wall art and accessories for your home by browsing our extensive collection of wall art, wallpaper, blankets and pillows. Whether you're looking for colorful abstracts, fine art photography, or new pillows to add a pop of flair to your favorite room, Great BIG Canvas can meet your needs, both big and small. Offering a range of wall art products like gallery-wrapped canvases, framed fine art prints, and floating frame canvases, our wide selection can help you with your next design project. Since 1985, the Triangle's premier working studio for residential and commercial art glass and unique hand crafted doors. Visit our website, or stop by our showroom and studios on Glenwood Avenue, convenient to Raleigh, Durham, and Chapel Hill. 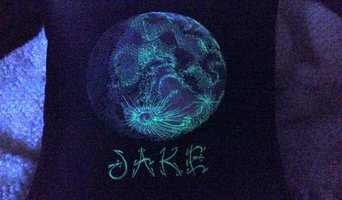 We offer stained, leaded, etched, carved, sand-blasted, painted, beveled, cast, and fused glass. Professional design and installation services are included. Art Glass for residential baths, entries, cabinets, mirrors, shower enclosures, and windows throughout the home. Insulated or installed against existing windows. Unique entries for interior and exterior, residential, commercial, and ecclesiastical. 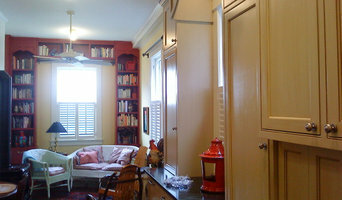 Fine hardwoods, painted, or custom wrought iron. Specializing in retrofit in existing homes, or new construction. 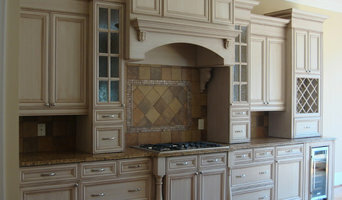 Design and professional installation services included. From original artworks and prints to painting your new dining room, Ryan provides a wide range of services to help transform your home or office into a beautiful living space. With over 15 years experience, Ryan has provided custom wall finishes, murals and interior plasters for clients from SE Florida to NC. I create abstract art and dottilism art on canvas, wood, rocks, vinyl. Canvas and wood pieces can be made in a variety of sizes for small spaces or large spaces. I paint on small or large landscape beach rocks that adorn a special place outside or inside. I can create functional clocks from old record albums using fluid art techniques or dot painted techniques such as a mandala. Hi! I am a mixed media artist who loves working with bright colors and metallics. I enjoy exploring both form and feeling through modern abstract expressionism with occasional nods to pop art and fauvism. Once upon a time, I graduated from North Carolina State University with a BA in Visual Arts Applications. I taught art at a k-8 charter school in Durham for five years before deciding to stay home with my kids. I now spend my days unschooling our three sons and working in my home studio. One of Louis Comfort Tiffany’s declared goals was to “bring beauty into the home in order that we might live with it, absorb its substance and so enhance our existence.” With that motivation I engage with the client to produce works of beauty in glass to enhance the environment of fine homes and businesses. Leaded stained glass is an old art form. I use the traditional lead method of construction in creating heirlooms that will last generations. Meeting with clients I discover their needs: creating an artistic vision, dramatic entrance or luxury bath, reducing sun glare or for privacy. Custom glass work is exciting for both my clients and me. Seeing the completed work installed in its home with the light streaming through and colors surrounding it is a gift to me every time. I have an extensive portfolio from a long career and look forward to working with new clients. Fine art abstract acrylic paintings for home decor. 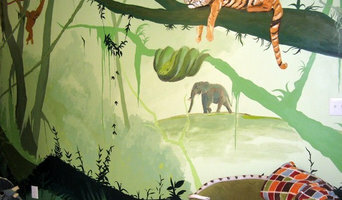 Specializing in large to very large, to mural sized paintings. Highly textured, multiple layers, unique color combinations. Commissioned paintings.